Beautiful skin, Beautiful cause. 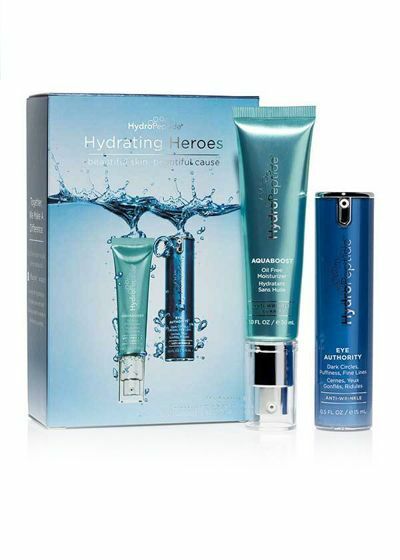 Hydrating Heroes features AquaBoost, a light, oil free hydrator and Eye Authority, a multi-functional eye cream that brightens dark circles with crushed pearl and diminishes fine lines and puffiness. Together we can make a difference. $3 from each set sold will be donated to charity:water, a non-profit organization bringing clean and safe drinking water to people in developing countries.